Generac Mobile’s VFLEX technology provides ultimate flexibility for Canadian customers. The VFLEX solution is designed to provide customers and users the ability to adjust the generator’s output voltage in order to meet the electrical requirements of various Canadian provinces. VFLEX diesel (CAN6) generator models feature factory-installed alternator windings that regulate output voltage up to 600V. Users can easily switch among 208V, 240V, 480V, and 600V. No transformer is required. Six sizes of the new VFLEX power models/nodes are now available: the MDG25, MDG75, MDG100, MDG150, MDG175and the MDG250. These models feature Final Tier 4 The added models allow for a fuller offering for Canadian customers. 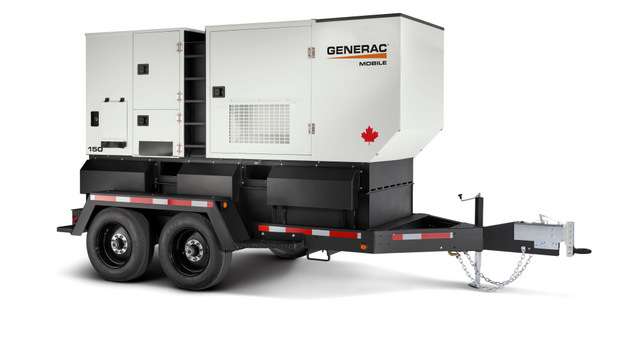 In addition, CAN6 VFLEX generators from Generac Mobile also include standard cold weather components designed for reliable operation in extreme cold Canadian temperatures. Generac Mobile VFLEX solutions provide ultimate value, low total cost of ownership and a fast return on investment. VFLEX units are indicated by model numbers with “CAN6”. For more info on Generac, click this link. It’s super clickable.